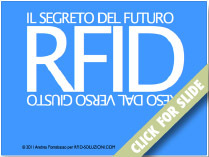 RFID SOLUZIONI is the new italian web-portal on RFId technology. The joint venture between ASE S.r.l., Arca Consulting S.r.l. and Novarex S.p.a., allow the construction of an adaptive logistic infrastructure software that is located between classics ERP and production resources. This software is a SOLUTION of the LOGISTICS processes of our factories. 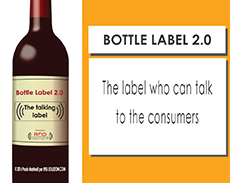 The adoption of RFId technology let increase logistic KPI’s with straordinary reliability of reader’s lectures. Our interface is a SOLUTION for LOGISTICS processes of our companies. ASE about RFID gates and reading systems. ARCA CONSULTING about development tool PENTAHO’s reliability and performance. 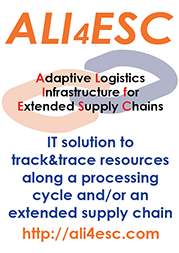 NOVAREX is a manufacturing enterprise, has realized ALI4ESC software interface and tested it into its own processes verifying itself the results and the benefits of ALI4ESC adoption. This test realized on its own skin by NOVAREX is the reason why we are glad to offer you a tested-on-field software solution. We are sure of the benefits that our platform is being able to take to who choose it. So here we are for you and your enterprise’s needs.